The man in the video is Bart Hughes, and he is Dutch. He was one of the first in the 60’s who drilled a hole in his skull to test if his theory was correct. Bart Hughes believed that this ancient practise was done to take the pressure of the brain. After the skull closes, in early childhood, the brain is under constant pressure of the brain fluids. And this might have its effect on our thinking, causing stress and loss of openness. I have an interview with Bart Hughes on cassette tape, and I have a map with some of his private 60’s publications, which I was lucky to buy long ago in a second hand bookshop. But unfortunately I have no idea where that map is. I am sure I have not given it away, so it must somewhere in the house. But I have searched for it many times and so far without result. To make it worse: I recorded a song about trepanation from a radio show, many years ago, and I cannot find that tape either. It is actually only half the song, but it is the only song about trepanation that I have ever heard, and I cannot stand having something and not being able to find it. 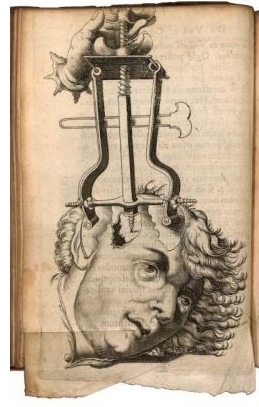 Here is a good illustrated article about trepanation. Tonight I discovered another song about trepanation. Well, it is a song, by a band who’s name wasn’t mentioned, in which trepanation is mentioned. And in this case that is more than enough to make me enthusiast.